Cool tools & cute stickers are two of my most favorite things to shop for, so when Xyron asked if I’d like to try out some of their products of course I said yes! They sent me the 1.5″ create-a-sticker and XM1255. 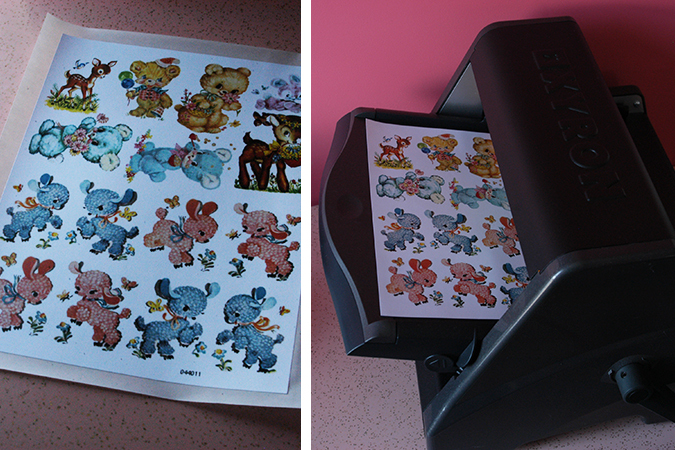 This small sized sticker maker is really affordable at about $6-$8 and you can find them at a lot of the craft stores that offer the 40% off coupons. I like to scan old ephemera that I don’t necessarily want to use up with one project, or something I want to be able to make many copies of. I had my decals scans printed with Staples on standard paper and they came out great. 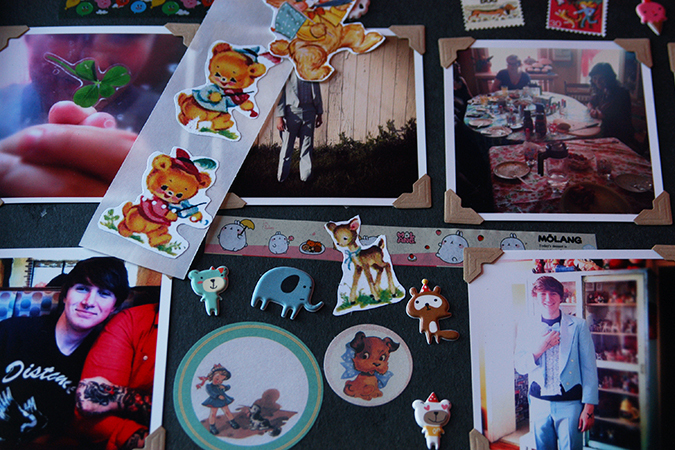 The smaller images work perfectly in the small sticker maker, and its really easy to use. You just lay your image in the top, pull on the sticker paper sticking out the bottom and your image slides down and starts to come out the bottom. 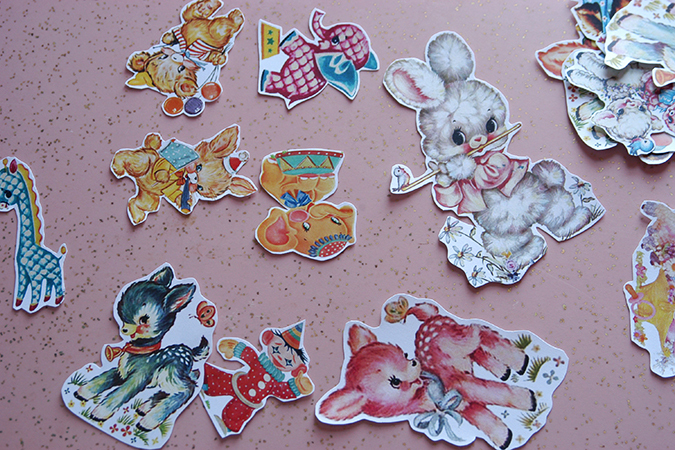 My youngest son used it to turn some of his drawings into stickers. He’s ten and didn’t need any help using it! The pro-machine is a powerhouse for larger items. I was able to feed in whole standard size pages with wiggle room. I had purchased a plain white bread box at the thrift shop with the intention of somehow decorating the front, and the pro worked perfectly. The permanent adhesive cartridge works on anything you might apply spray glue to (without the mess and it covers the entire back completely!) Plus you can use a cartridge for one project, then take it out and pop in a different one (like the lamination which I’m excited to try next), I like that I don’t have to use up a whole roll before switching. While the pro machine is one the higher end price wise, xyron does offer affordable options like the 5 inch creative station (again use those coupons!) You might not be able to do a whole sheet at once, but you’ll be able to feed through 5 inches wide at a time. Now don’t think I’d tease you with all these cute images and not share….For your personal use here are page one,page two, and page three If you end up making your own stickers with the xyron machines I’d love to see so please leave a comment! 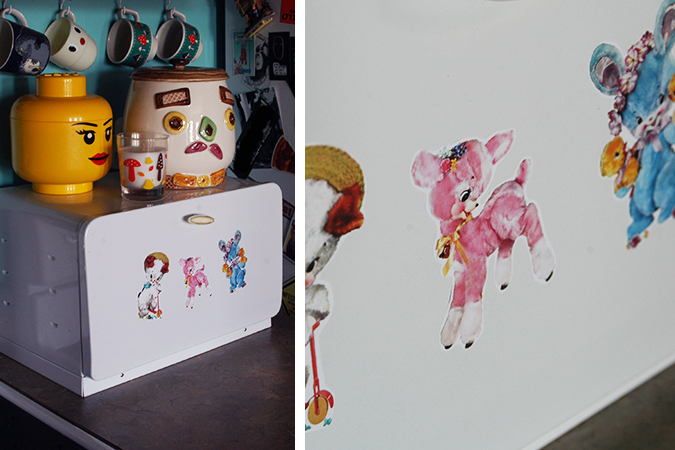 Tagged craft, DIY, pdf, stickers. Bookmark the permalink. 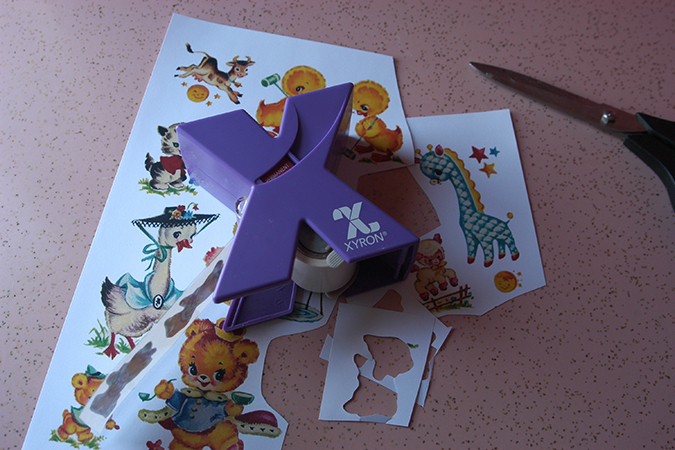 10 Responses to Xyron sticker magic! Saw this on flickr & had to come visit! How fun to make tour own stickers! And thanks for the prints! Love this! I know what me and my friend are doing next time we’re together! What an awesome way to use your vintage treasures without giving up your originals. Pamela, yay!! Please post a link if you do, I’d love to see! Carrie, I used to have one of the small sticker makers that I used all the time, but its been awhile since i’ve played with the stuff—sucked me right back in! Haha now I keep thinking of all the things I could use it for! I have the little one and I love it. I got the Martha Stewart postage stamp shaped punch to make postage stamp designs and run them through the sticker maker. 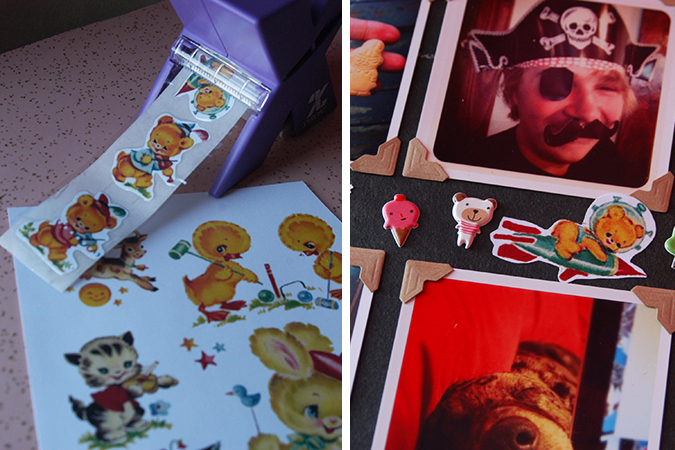 Kate, oh thats such a good idea with the stamp shape punch! Im going to have to look for one!